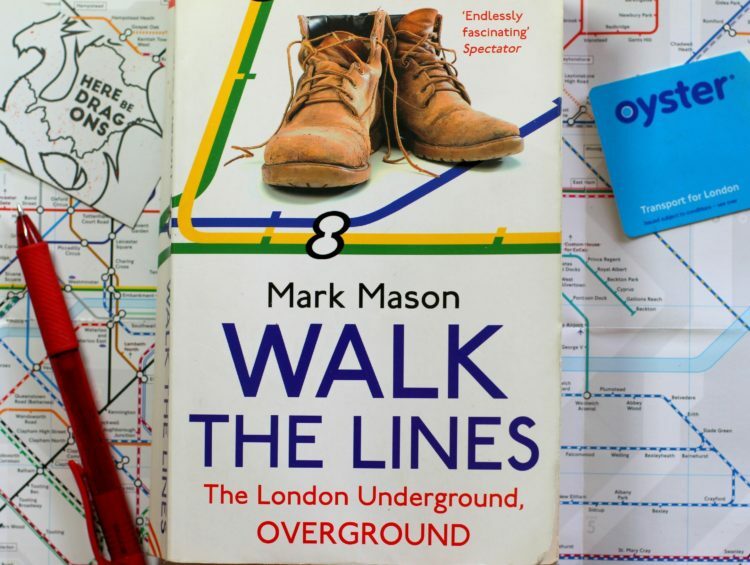 A diary of walks that cover all of the capital’s Underground lines. An “ultimate walk that would comprehensively capture the capital”, as author himself puts it. A journey through the city, a journey within yourself. Wouldn’t it sound like a great idea? I picked this book because I knew the author would have to touch on the subject of Outer boroughs. After all, the only Outer Boroughs that have no Underground are Bromley, Bexley, Croydon, Sutton and Kingston. There is lots of it! And if you like trivia, you are in for a feast! The main problem though is that the book is just a collection of facts, stitched together by a clumsy narrative of a walk and some out-of-place interviews. The trivia is arbitrary. There is no particular rhyme or reason, to it – just stuff from other sources, no originality involved. Are those his favourite themes or just random stuff that he happened to know? What is his method? Why does he mention some things and not the others? What sense does it make? Street scenes are nothing but a built up with no payoff. The book itself is light-hearted and easy to read, the author comes across as a nice and thoughtful person. He likes trivia and the Underground. He seems to be tempted by the trendy “I am a nerd” bandwagon, constantly making jokes about how his partner cannot stand his obsession with the Underground, while never saying or doing anything particularly rail-obsessed. OK, he knows a bit of trivia and his hobby is walking. He decided to connect these two. I would not call any of it to be from the nerd department. Any journey us only as grandiose as the they change the pilgrim. But here you cannot understand what changes, if anything. There are little stakes, little personality. It is unclear why we should care at all. Mason seems like a perfectly likeable character, but there is not enough room to develop him between all the trivia and the contrived interviews. But no, wait, screw that! No place for character and deepness here, we need to get back to pointless trivia again! One of the recurring themes is to find London. “This is not London” – he would refer to a scenery walking down the line about seven times. Then further in the text he would notice some arbitrary token – a fancy car or a peculiar character on the street – and declares that he is now “in” London. However, he never lays out the criteria he applies to divide into “in” or “out” which makes this quest completely hung in the air. To add to the pointlessness of this observation, he mostly mentions things not being “in” London when he walks towards the centre, only once when he goes outwards – because seeing the city disappearing and diluting takes much more vision than noticing some arbitrary token. This would be harmless enough, but fails on what I was looking in this book – to talk about something other than central London. There are innumerable walk guides for Central part, what is the point to add another one? Mason’s version of London, as I understood it, is more or less within the pre-1965 London County Council boundaries. By dismissing outside territory as “not London” in his mind, Mason does not do suburbia enough justice and reinforces the idea that only bits worth talking about are in the centre. Lots of kilometres are not even acknowledged, or only station names get referred to. He sometimes passes a few stations in one sentence. Barking to Upminster is half of a page, Acton to Ruislip is two. And when he does talk about it, all he usually says something like “walk passes uneventfully”, “the place is dull”, “the street is inoffensive”, “houses are big / dirty”. Mason fails on his point, he could have just walked zones one to three, which are the ones he baptises London. If outside of that is “not London”, why does he then have to go there on the quest to “own London”? He has six interviews, Planning Officer for the City of London, a cabbie, a journalist, an Underground voice announcer, Mark’s friend and an artist. I guess the idea is to get people who in Mason’s mind would represent different aspects of London. The problem is that they have very few things to do with the Lines themselves, each interview is less relevant than the previous one, apart from the last which is artist Bill Drummond. One of the characters, Richard, seems to be there only to take trivia paragraphs and make trivia dialogues out of them. Others do not say anything more than you would expect them to say. After we’ve met them, they are barely acknowledged later in the journey. A very vague connection to the underground or to the journey itself. Some interviews are as long as nine pages, like they are added for the volume as authors’ personality is not enough in itself to carry the story. This is further proven by a joint section with Bill Drummond, the only encounter that is actually interesting and adds an extra dimension to the book. Mason’s vis-à-vis is so much more interesting, you wish Drummond, not Mason would have written the whole book. The difference in the narrative level is especially visible in the segment just after Bill Drummond leaves and challenging insightful pages go back to mundanity. A light-hearted easy reading but uninspiring and banal narrative. Get it if you like trivia or if you are a tube fan. It is not bad for what it is, but do not look for substance here, the book is almost skin-deep and not at all challenging. 6/10 (extra point given for the Bill Drummond sequence).